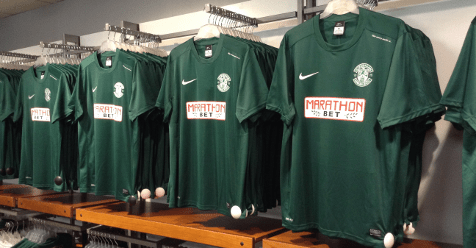 Hibs have raised £2600 for Help for Heroes after ten #HFCRemembers shirts were sold via an online auction. The home shirts, worn in the match against Queen of the South at Easter Road, feature a poppy symbol and the phrase ‘In Flanders fields, the poppies blow’. Lewis Stevenson’s shirt sold for £385 with Scott Allan’s shirt going for £370. The club would like to thank everybody who participated in the online auction and congratulations to all those who lodged successful bids. The remaining shirts – including Alan Combe, Paul Heffernan, Jake Sinclair, Callum Booth, Lewis Allan and Callum Crane – are available to bid for online.